Traditional black-and-white film and digital photography. Born in 1960, Michael Kahn is a lifelong resident of Chester County, Pennsylvania. During his childhood, his family summered on the coasts of Maine and Topsail Island, North Carolina. This is where his love of the sea and sailing originated. After high school, Michael apprenticed in a portrait studio where they used Hasselblad cameras with a square 6x6 cm film format. Here Michael received hands on training in film handling and black-and-white printmaking. Several years later, the owner of the studio changed the business model and became a commercial advertising photographer. Michael stayed on as an assistant, learning skills in advertising, product, and editorial photography. From there, he branched off on his own, shooting for magazines and other commercial clients. In 1990 he published a book of black-and-white photographs of the Brandywine River in southeastern Pennsylvania. 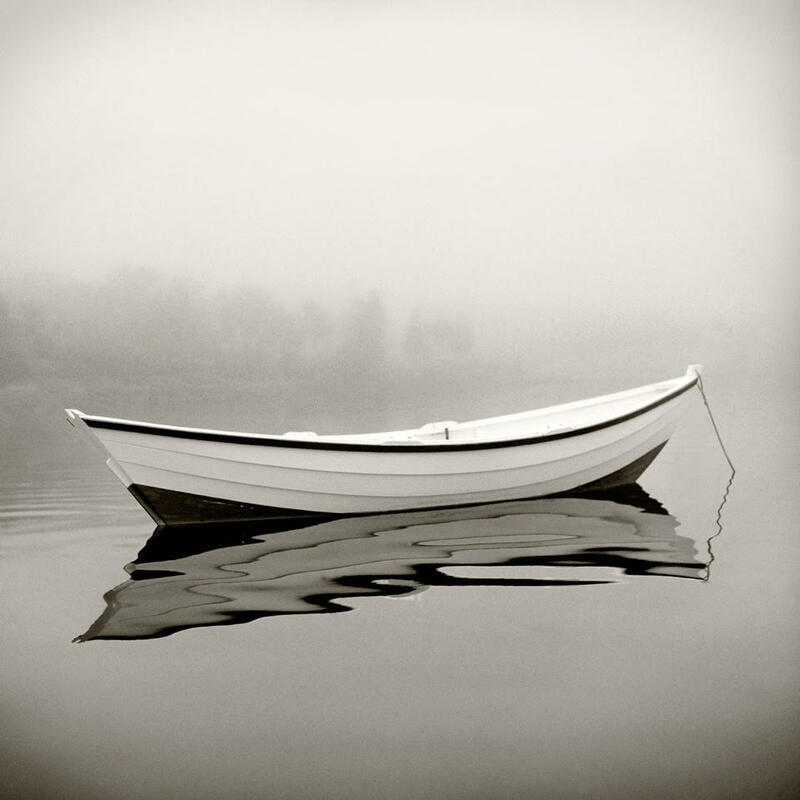 In the mid-’90s Michael took his first sailing photograph of a small boat in the fog on a lake in the Adirondacks. 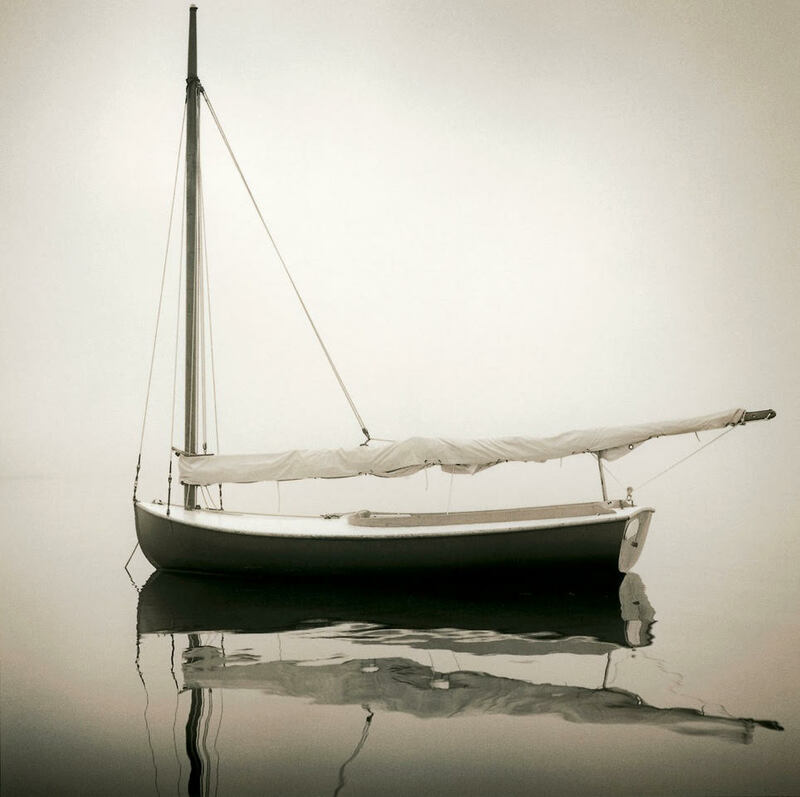 This image launched his nautical photography career. Michael made the decision to stay with his film cameras instead of going with the new trends in digital equipment, and continues to make handmade photographs in his darkroom. His work has been exhibited in over 50 solo and group gallery and museum exhibitions throughout the United States, Switzerland, Scotland, France, Bahrain, and Nepal. Books published on his work include Over the Dunes (2015), The Spirit of Sailing (2004), and Brandywine (1990). Note: Students will need to bring a traditional film or digital camera, film, tripod, and examples of previous work. This is a five-day course ending Friday evening. Shooting black-and-white photographs is in many ways different than shooting in color. There is much more contrast in black-and-white. Shapes and shades become more important. Each day, with guidance from your instructor, internationally renowned photographer Michael Kahn, you’ll learn to capture images using the building blocks for successful black-and-white photography--texture, tonal contrast, shape, form, pattern, and lighting. The coast of Maine is abundant with unlimited strong photographic opportunities and will provide a wealth of photogenic material. Each day, Michael will lead participants on a photography shoot for a few hours in the morning, followed by discussions on Michael’s work. He will share his knowledge on lighting, contrast, composition, equipment, film, processing, printing and more as these topics pertain to black-and-white boat, seascape, and landscape photography. Discussions will also include the work of famous traditional photographers like Beken of Cowes and Rosenfeld of Mystic, as well as discourses of the wooden boats themselves. Following lunch is another few hours of shooting, and an hour of questions and student work critiques. Shooting locations will include the WoodenBoat waterfront and workshops, Babson Island, Center Harbor, Benjamin River, the Blue Hill reversing falls, and the beautiful town of Stonington. The goal of this week is to help you capture and create a strong image for black-and-white, and then develop and use a consistent and reliable workflow. “Seeing and thinking” in black-and-white is a very common difficulty for photographers. After this course, you’ll be up for the challenge!